Friends are some of the most meaningful relationships we have and it turns out that rhinos and goats are quite similar. Close friends are hard to come by but we always enjoy some good examples of quality friendships in the animal kingdom and this little crew is it! They say it’s important to have your friend’s back and these goats take that role literally as the jump from rhino to rhino and take a few tumbles along the way. You need to check it out! 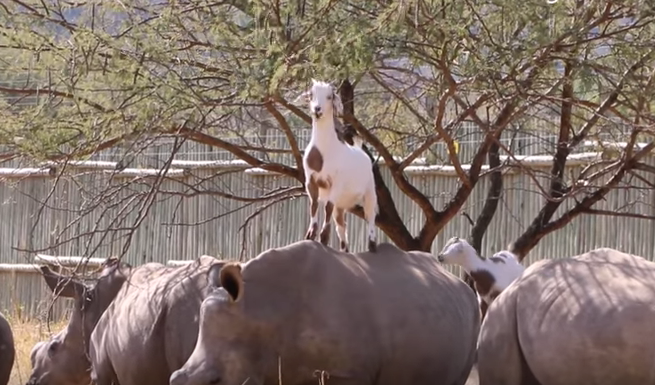 These goats and rhinos are friendship goals if we ever saw them!